A recent conversation about a photo I have posted on Facebook prompted me to give a sneak peak into a project that I'm slowly working on. Somehow an ABBA record stirred up memories of the old K-tel records once advertised on tv. By the way, a quick online search gave me hope that they're not done with the classics just yet! As a seven year old boy, I can't remember being "into" any singing groups. 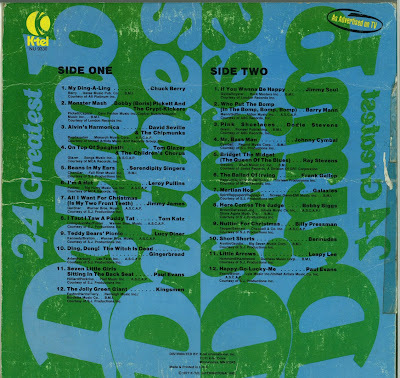 My music tastes were an eclectic rub off of my parents music, which included anything from Kenny Rogers to the Bay City Rollers to Simon & Garfunkel. Not bad, I might add, for a seven year old. Well, since New Kids on the Block were my age and Hannah Montana's parents were just getting their drivers license, there wasn't much for a guy like me to listen to (not that I'd be hanging any of their Teen Beat posters on my wall...). Besides, even if I was into the current pop idol of the seventies, I wouldn't admit it here. So, I settled for K-tel. 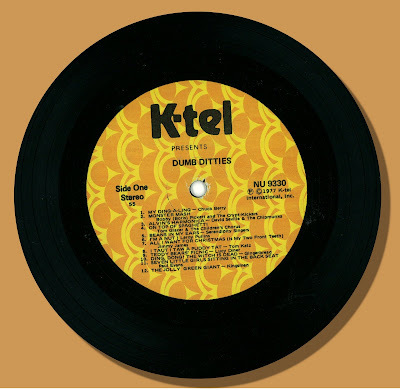 I've already converted most of these vinyls into digital format (which include Wacky Westerns and Looney Tunes) and will be uploading them as mp3's soon, but to pacify the hungry crowd, here's one song from my first K-tel album, Dumb Ditties. 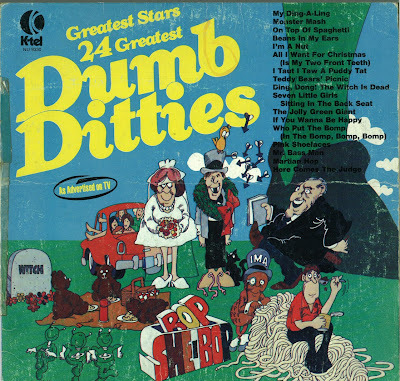 Ladies and gentelman, give it up for the Serendipity Singers and their "hit", "Beans in My Ears". RIGHT CLICK to Download "Beans in My Ears"
Chandler. Fall River Music Inc. B.M.I. Courtesy of S.J. Productions Inc.